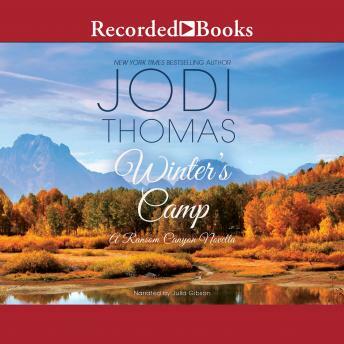 New York Times bestselling author Jodi Thomas has captivated readers around the world with her sweeping, heartfelt family sagas. To introduce her brand-new series, Jodi tells the story behind the unforgiving Texas landscape and how one man claims Ransom Canyon-and a timid beauty-for his legacy. A wanderer's life was all James Randall Kirkland had known since he was an orphaned boy in San Antonio. And while years of adventure had satisfied his younger self, now he's longing to put down roots of his own and is prepared to go it alone. But when he sees the Apache slave woman with the startling blue eyes, the course of his journey is changed forever. Ever since the Comanche raided her village and took her for their own, Millie hasn't known any kind of freedom. After years of being outcast, beaten and traded from tribe to tribe, she's unprepared for James's patient tone and gentle ways. Still, as her handsome savior slowly earns her trust, Millie struggles between desire and fear, sure it's just a matter of time before James tires of her and her burgeoning feelings are nothing but another wasted memory.